SHOTGUN SLUG SHOOTERS shoot into the 4’ x 4’ sheet of plywood ONLY!!!!! Range is for members and guests only. Be sure to clean up when you are done shooting. You bring it in you bring it out. Members can only bring two non-members with them to the range. We are happy to announce that the pistol shoots have started up again. Tuesday is Rimfire and Thursday is centerfire. The cost is $5 to shoot. Further we are expanding our activities on the range and bringing back Trap shooting!!! This will happen on Monday night starting at 6PM the cost if $4 per round. Any questions contact Dave at 774-757-2062. All of these activities are open to everyone you do not need to be a member of LRG. Safety is priority #1 so eye protection and ear protection is required. We will have range safety involved in all activities. 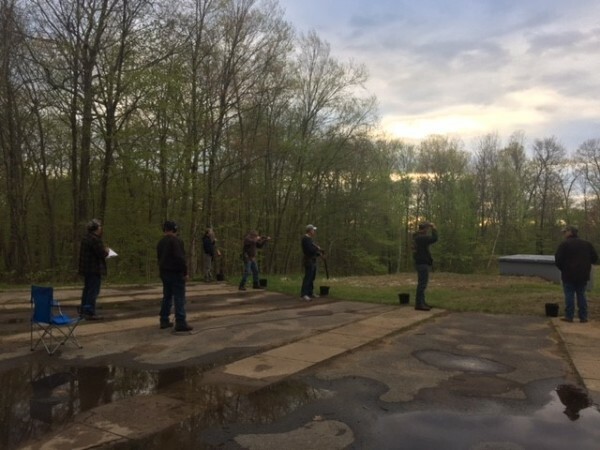 Leicester Rod and Gun has a fun and informal sporting clays course ideal for sportsman looking to hone their wing shooting skills or those looking to get started with the sport. Saturday’s 9 AM start, Through the End of September. Bring your own shotgun and ammunition. The entrance is a dirt road around the corner from the clubhouse on Bond St.